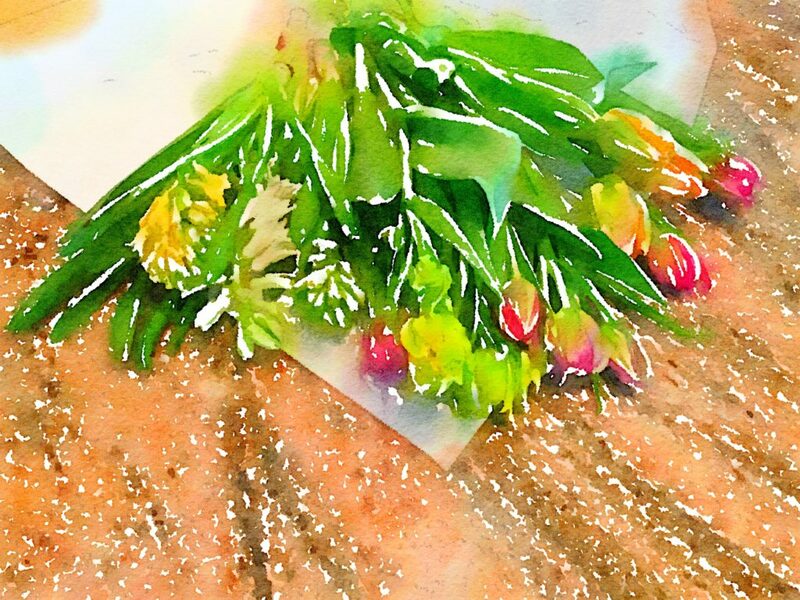 This is the fourth straight week that I have bought flowers at the Pike Place Market, created multiple flower arrangements, photographed them, then “painted” them using the Waterlogue app. Here are this week’s raw materials. 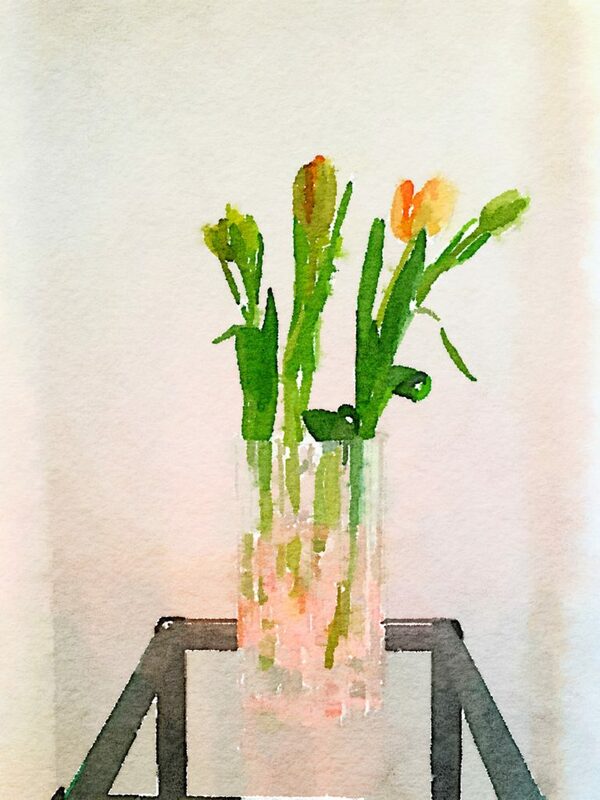 And here are the same fresh flowers “painted” in Waterlogue. New this week? 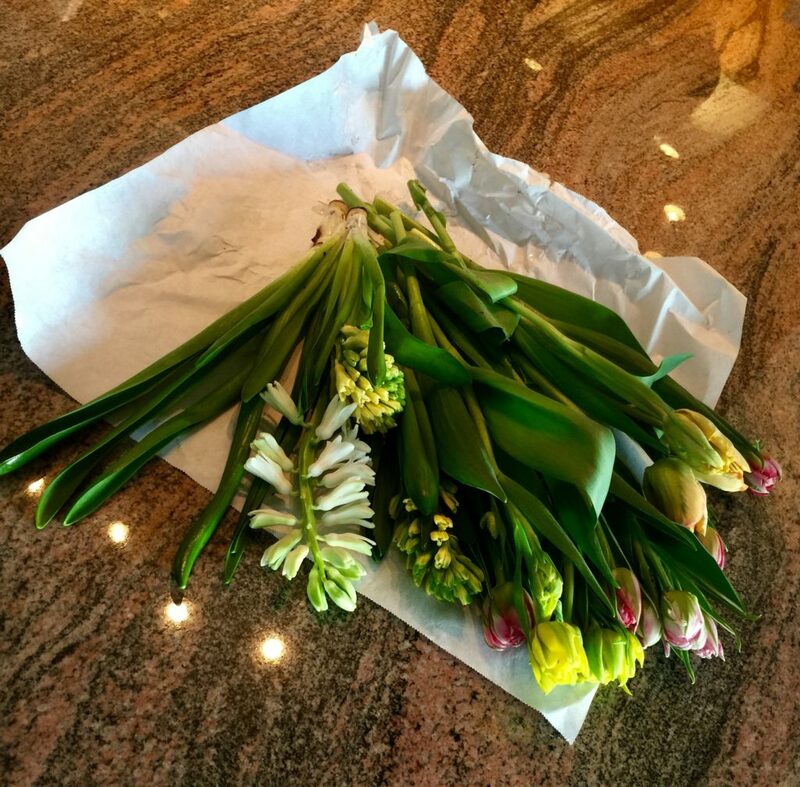 Yellow and white hyacinths, whose heady fragrance scented our home all week. 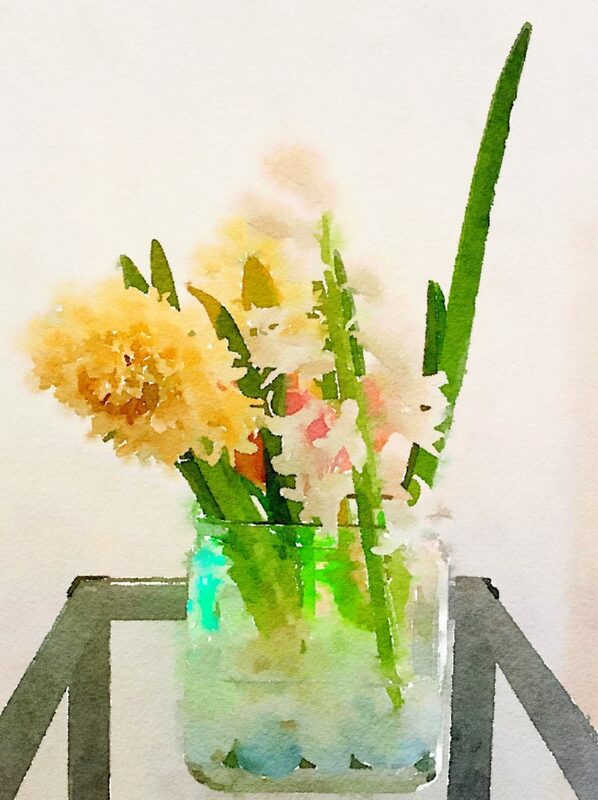 Because the hyacinths were still on their bulbs, I positioned them in a low, squatty vase along with a shortened salmon tulip for color and some left-over tulip fronds. 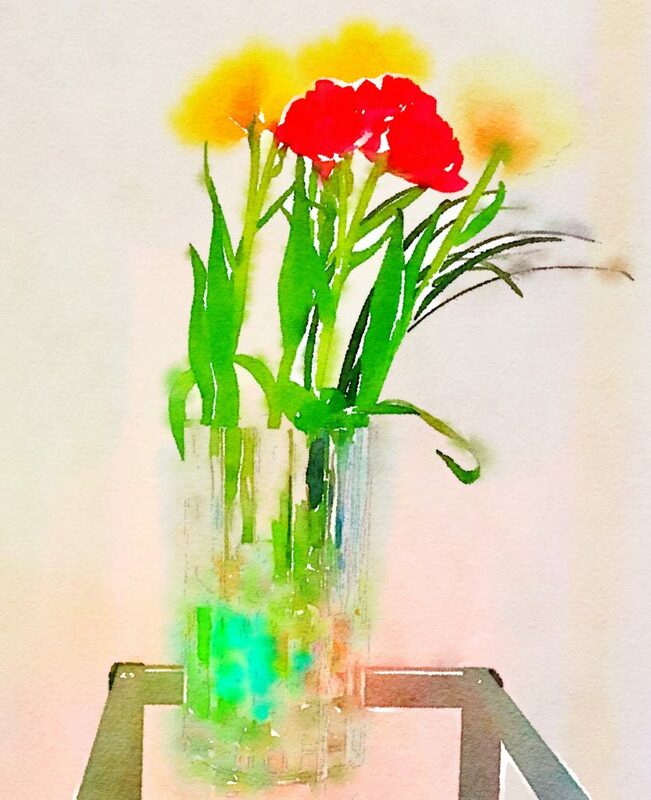 This cylindrical vase, filled half-way with clear glass marbles (whose official name is “decorative filler”) provided the perfect vessel for half a dozen red and yellow tulips and a bit of bear grass. A glowing green backlight illuminates the arrangement. 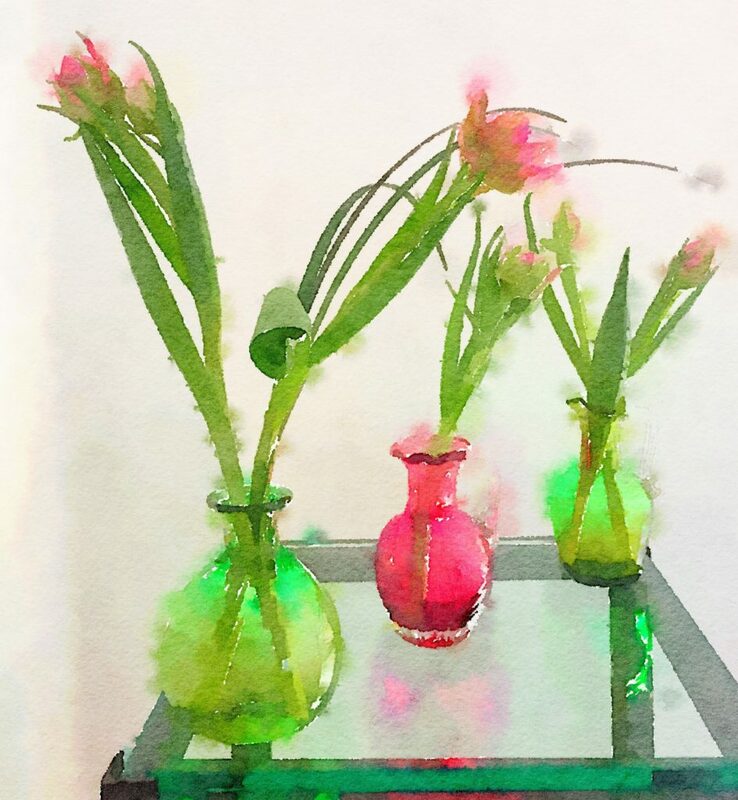 I took the same vase, once again lined with glass marbles, and substituted different tulips and pink backlight for a whole new look! Pink “double” tulips (tulips with multiple blossoms) looked gorgeous in a trio of colorful vases. Later in the week, all but one of the hyacinths had given up the ghost. 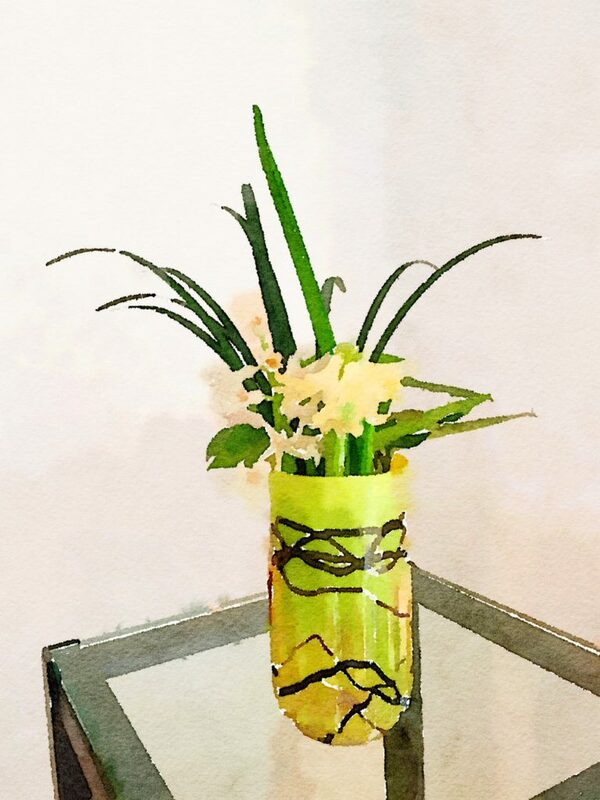 So I took the remaining one and gave it new life in a fresh vase. 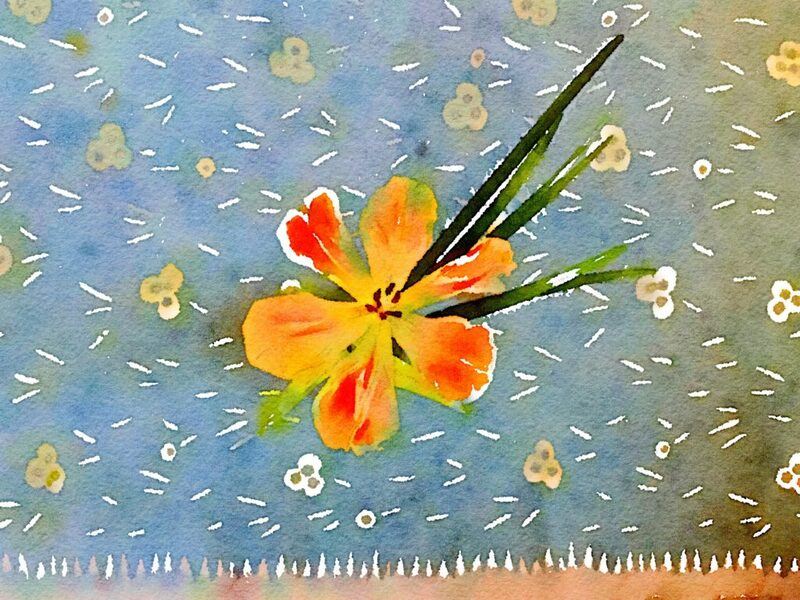 Even almost-dead tulips (ones that are completely open and a bit frayed around the edges) can find a new lease on life. I shot this survivor from above along with a few sprigs of bear grass.